Your home search is over! Once you enter this home you will be greeted with a barrel ceiling entry, an open concept, spacious living area, beautiful fireplace and tall ceilings that will stop you in your tracks and you will want to make this home yours! 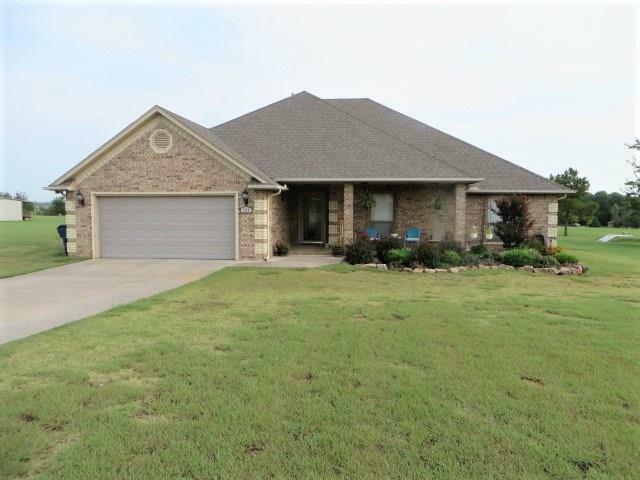 This gorgeous home has 3 bedrooms, 2 baths, lots of storage space, surround system that includes interior/exterior areas, a covered front porch and a large covered back patio that allows plenty of space to entertain or just relaxing. The gorgeous kitchen boasts a gas cook top, granite counter tops, tiled back splash and a large breakfast bar. This home also has two dining areas....the second dining area could be used as an office or small den. The Master Suite offers a full bath with a double sink vanity, jetted tub, separate shower and a large walk-in closet. The utility room offers a soaker sink and plenty of storage cabinets! This property is move in ready! Call today to schedule your appointment.